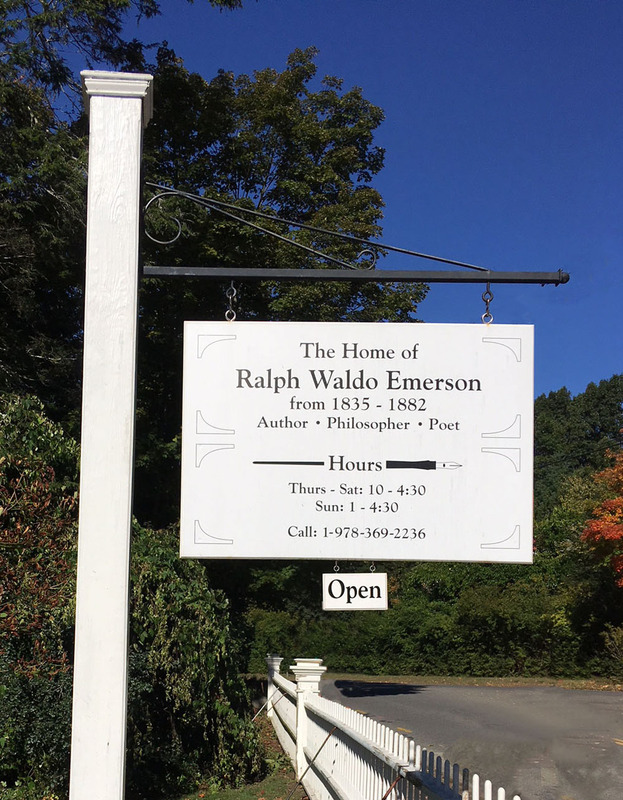 The Ralph Waldo Emerson House is operated as a museum and is open to the public. This page has contact information, hours of operation, admission costs, and directions. The Emerson House is currently closed for the winter and will reopen on April 25th, 2019 as described below. 2019 open season: April 25 through October 27. Thursday-Saturday, 10am-4:30pm. The last tour begins at 3:45pm. Sunday, 1pm-4:30pm. The last tour begins at 3:45pm. Tours typically take 45 minutes. It is advisable to call a day before you plan to visit to be sure we do not have group tours scheduled that might limit access to the house. The Emerson House is shown by guided tour only. It has all original furnishings and many of Emerson’s personal effects. Large backpacks, gum, food and beverages are not permitted. Also, we request all electronic devices be turned off during the tour. Photography inside the house is not allowed. The Emerson House is not handicap accessible. There are no public restrooms at Emerson House. Bathroom facilities are available at The Colonial Inn, the Visitors Center in Concord Center and the Visitors Center at the North Bridge. Groups of ten or more need to make a reservation for a tour. Payment for group tours: cash, credit card, or check made out to Emerson House. Group tours: $7.00 per person. The Ralph Waldo Emerson House is located in Concord, MA near route 2. Detailed driving directions are available on this page. The MBTA Fitchburg commuter rail line runs from North Station to Concord and points west. It is a one-mile walk from the Concord train station to the Ralph Waldo Emerson House. Be sure to disembark at the Concord train station and not the West Concord station. Detailed walking directions are available on this page.